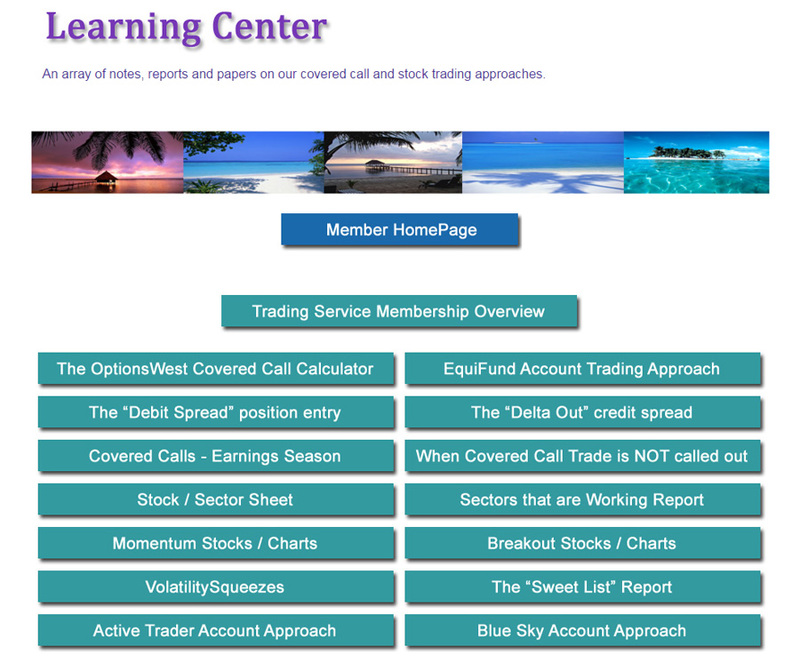 The Learning Center presents a growing list of explanations and descriptions on the approach we take trading the EquiFund covered call trade account. For those folks who are following our spread trading strategy and have not had an opportunity to take one of our courses, the information in this area of the website can be very helpful. If there is an explanation you would like to see presented in this section, feel free to send us a request.